PLANNING.. is the key to the successful operation of any organisation. Without it, there is a real danger of losing sight of the “bigger picture”, and not achieving the goals and objectives you have set yourself. It is all too easy to become preoccupied with ‘day-to-day’ issues and other internal operational matters, to the point where you could potentially miss out on realistic opportunities or just not see any possible threats that may be lurking on the horizon. Planning is essential to develop a stronger sense of direction and purpose, highlight user needs and the best way to meet them, and improve the efficiency and quality of service you are delivering to your customers. Equally, it’s easy to create a shiny, impressive-looking document that you can send to funders. The hard part is developing a plan that everyone understands and “buys into”. A plan that that evolves from a process – which means formulating the plan, regularly reviewing your progress against it and adjusting your plans as you proceed that is important – and this needs to be a continuous cycle. Fundamentally, there are important differences between strategic planning and business planning. Where is your organisation heading? Is it still on track towards achieving your original mission? How is the external environment changing? Are you set up to accommodate this? The process of strategic planning is about determining the direction in which you want to take your organisation – is typically focused on mid to long-term goals and sets out the basic strategies for achieving them. By contrast, the purpose of a business plan is to provide the detailed ‘roadmap’ that will take you in your desired direction. 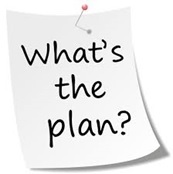 The business plan is a short-term (typically three years) and more concrete document than the strategic plan and it tends to focus more closely on operational details. A business plan is about setting short or mid-term goals and defining the steps necessary to achieve them. If you can ensure that your strategic plan informs your business plan, you’ll go a long way to ensuring its implementation. Effective strategic thinking requires you to shift your focus from the day-to-day concerns of your organisation (i.e. “how we do things now”) and to consider your broader and longer-term options (i.e. “how could / should we do things in the future?”). You will need to collect and analyse a wide range of information about your organisation – both about how it operates and about how conditions are developing in your current and potential ‘markets’. Where is your organisation now? This involves understanding as much about your organisation as possible; including how it operates internally, what drives its success or effectiveness, and how it compares with the competition. Be realistic, detached and critical. Where do you want to take it? Here you need to set out your high-level objectives. Be clear about your vision, mission, objectives, values, and goals. Where do you see the organisation in five or ten years? What do you want to be the focus of your organisation? What advantage do you have over others doing similar work? What do you need to do to get there? What changes will you need to make in order to deliver on your strategic objectives? What is the best way of implementing those changes? Will the structure and financing of your organisation need to change and what goals and deadlines will you need to set for everyone involved? Would collaboration or merger with other organisations (in certain ‘key’ areas) be the best way of achieving your objectives? You should balance your vision for the organisation against the practical realities of your current position. You need to take into account the implications of your ideas and plans. How are you going to define and measure ‘success’? Particularly where success can mean lots of different things, and not always financial. It all depends on what your goals are and what you have done to achieve them. Remember – strategic planning may involve making both organisational and cultural changes to the way your organisation operates. And because it affects so many people, it is important for everyone to feel that they’re ‘a part’ of the process, whether they’re directly involved or not. 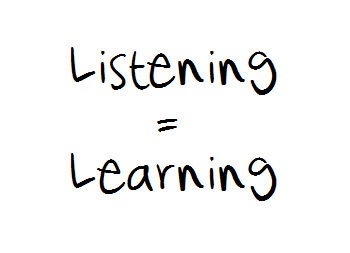 The most important action in any strategic planning process is ‘listening’. This is why it’s so important to listen to the opinions of all staff, stakeholders, members, volunteers etc – as well as those of external stakeholders who have (or might have in the future) an interest in the future direction of your organisation. Then it’s about involving people who show the kind of analytical skills that any successful strategic plan depends upon. Ideally this will involve a mix of creative thinkers and those with a solid grasp of operational detail. All of this goes into the mix. Analysis of internal drivers – what are your strengths, weaknesses, opportunities and threats – which in effect is your internal SWOT analysis? Analysis of external drivers – what is changing in your environment, what is on the horizon, what key local and national policy changes as well as customer requirements will impact on your current and future services? How are you going to fund these services? Can you fund the them satisfactorily? Are there any potential funders interested in funding? What other potential income streams do you have in place or you are considering? (All of this could be an external SWOT analysis). Implementation – this involves setting out the key actions (with desired outcomes and deadlines) that will need to be completed to attain your top level objectives. Resourcing – a summary of the implications your proposed strategy will have on your resources. This will reflect financing requirements, as well as factors such as staffing levels, premises and equipment. The key to implementing the objectives identified in your strategic plan is to assign goals and responsibilities – with budgets and deadlines – to responsible ‘owners’ – key members of your board or staff team, for example. Monitoring the progress of implementation and reviewing it against the plan will be an ongoing process and critical to ensure that you stay ‘on track’. The ‘fit’ between strategy and implementation may not be perfect from the outset and it will undoubtedly be necessary to constantly ‘tweak’ your plans as you progress and your strategy evolves. Ensuring that everyone is kept informed of progress, and that information is made widely available to all. To assess everything in more detail, let’s look at the first part of your Business Strategy..